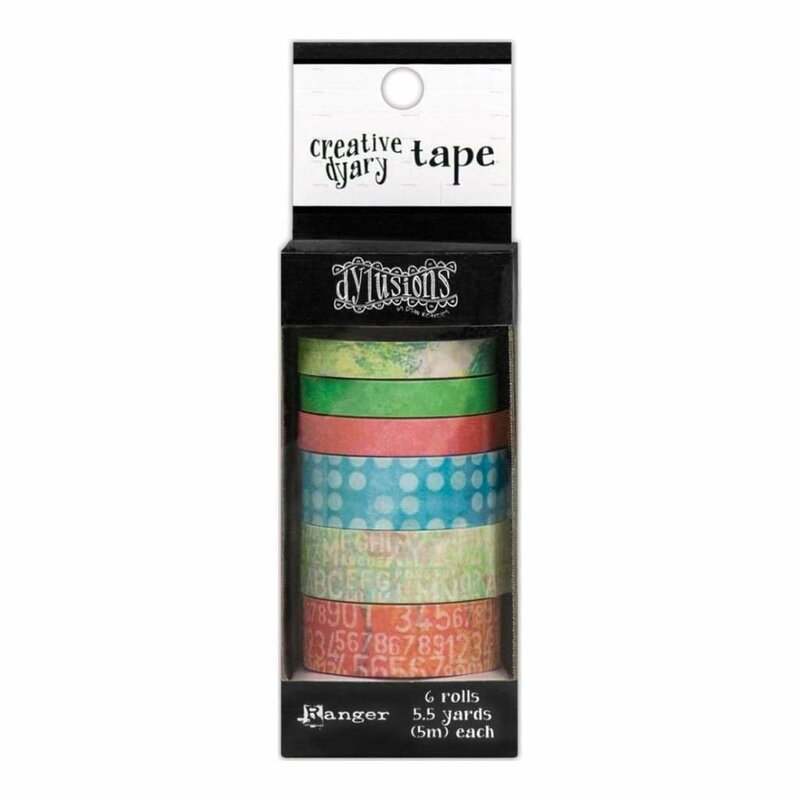 Dyan Reaveleys Dylusions Creative Dyary Tape - A collection of colorful tapes that are designed to coordinate with the Dylusions Creative Dyary. These bright printed tapes are ideal for sticking notes, reminders, ephemera and die cuts into your Creative Dyary. Package contains six rolls of two widths, .25 inch and .5 inch ; 5.5 yards each.